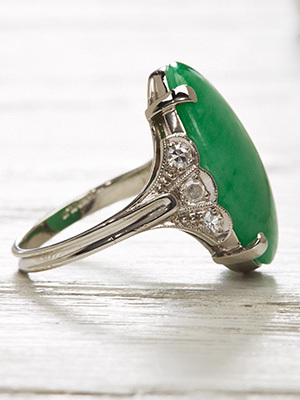 Diamond scallops hug tight this Art Deco cocktail ring's enchanting Cabachon jadeite. 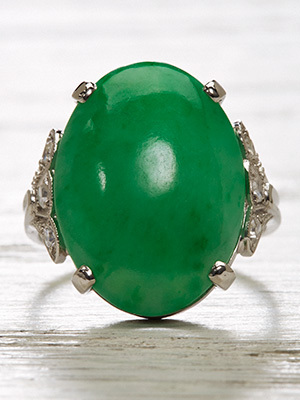 Like grass after a springtime shower, the oval gemstone bursts with nature's greenest intensity. 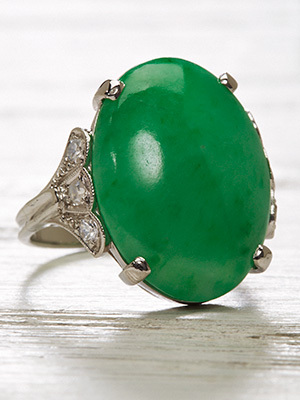 Diamond scallops embrace the jadeite at the shoulders of the platinum band, cradling it in their cockled edges. Details: Antique, Art Deco. Circa 1920. Platinum. Single cut diamonds; 0.12 carats. 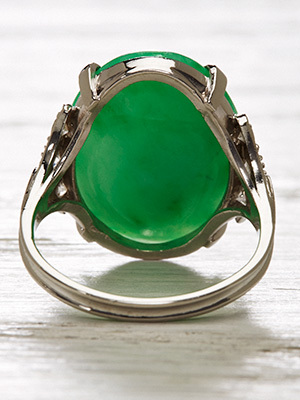 Jadeite; 13.21 carats.